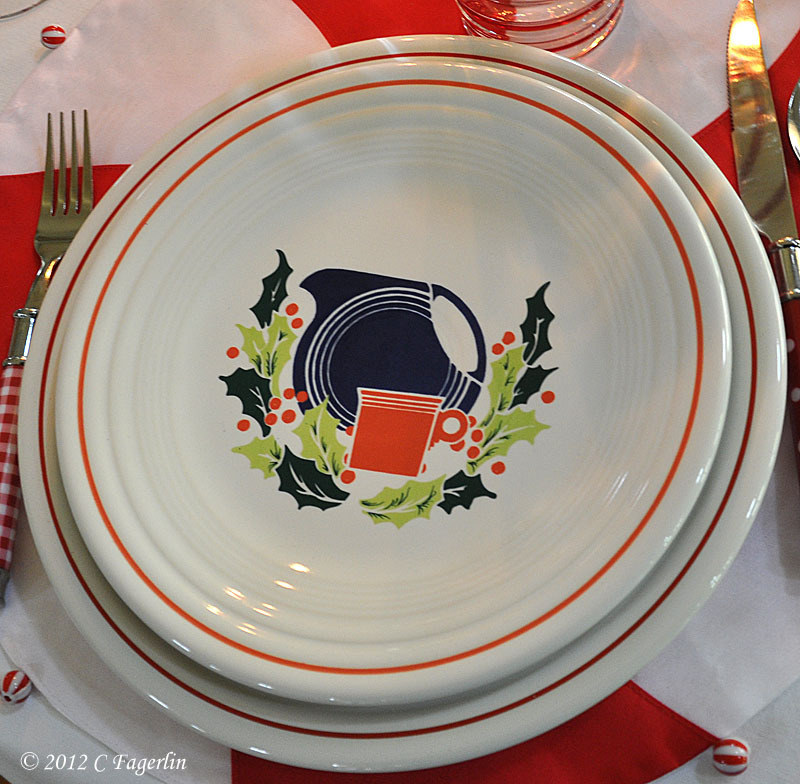 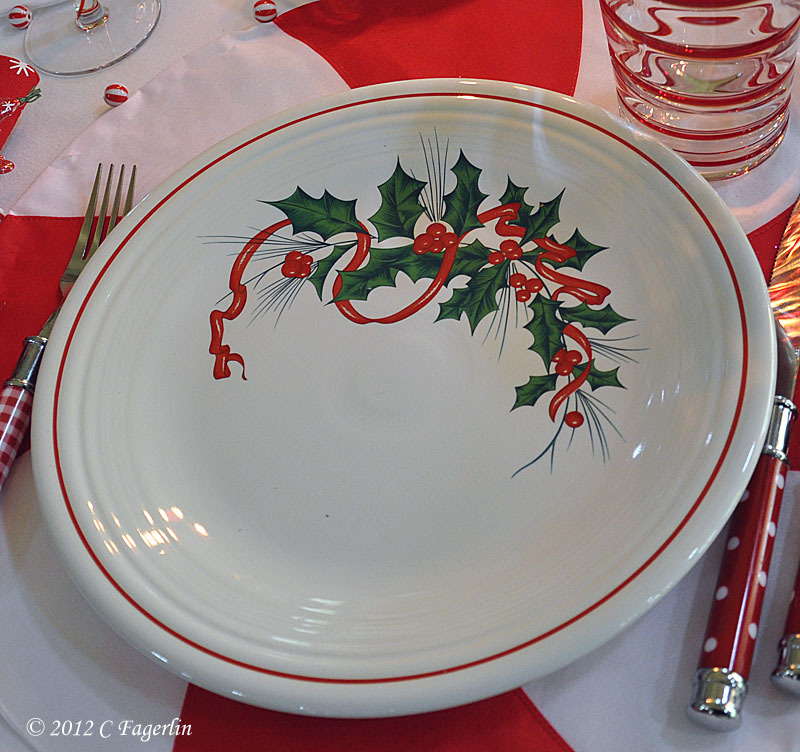 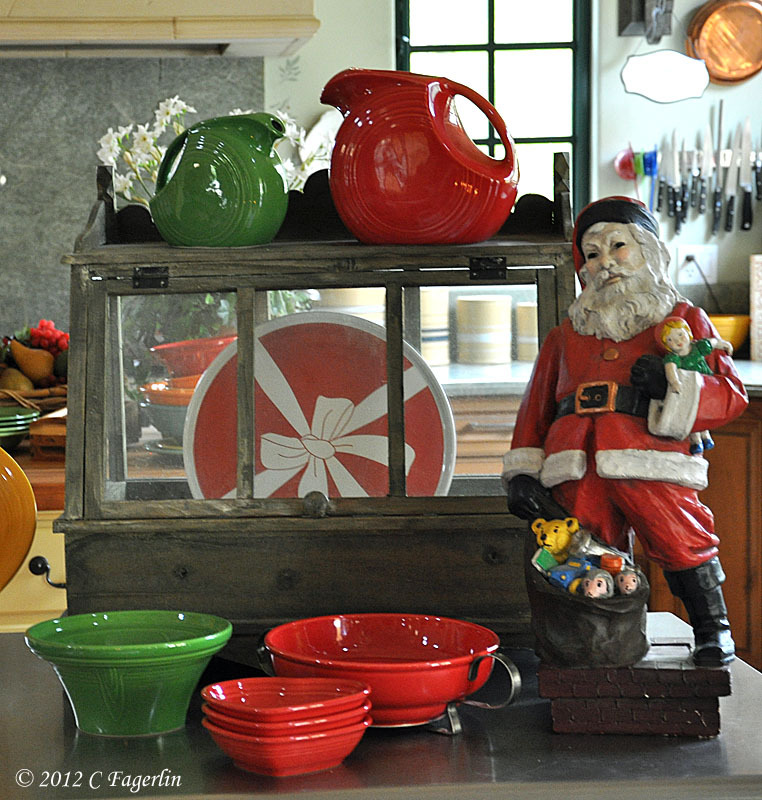 This holiday Fiesta table lends itself to lots of variations using some of the Fiesta luncheon plates to add to the merriment. 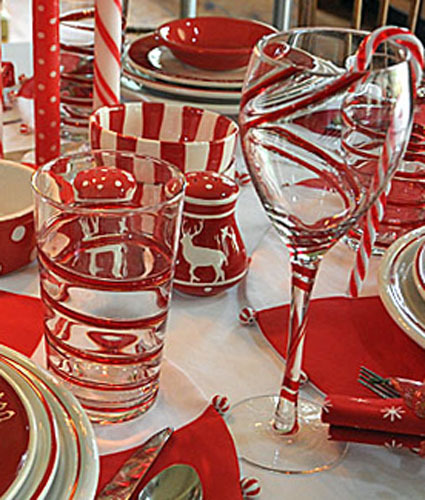 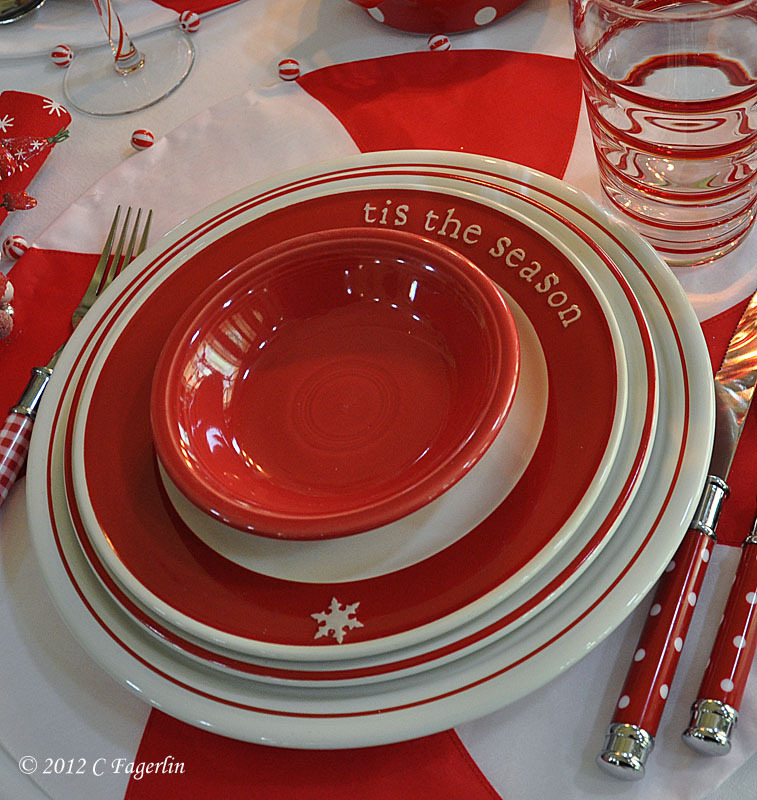 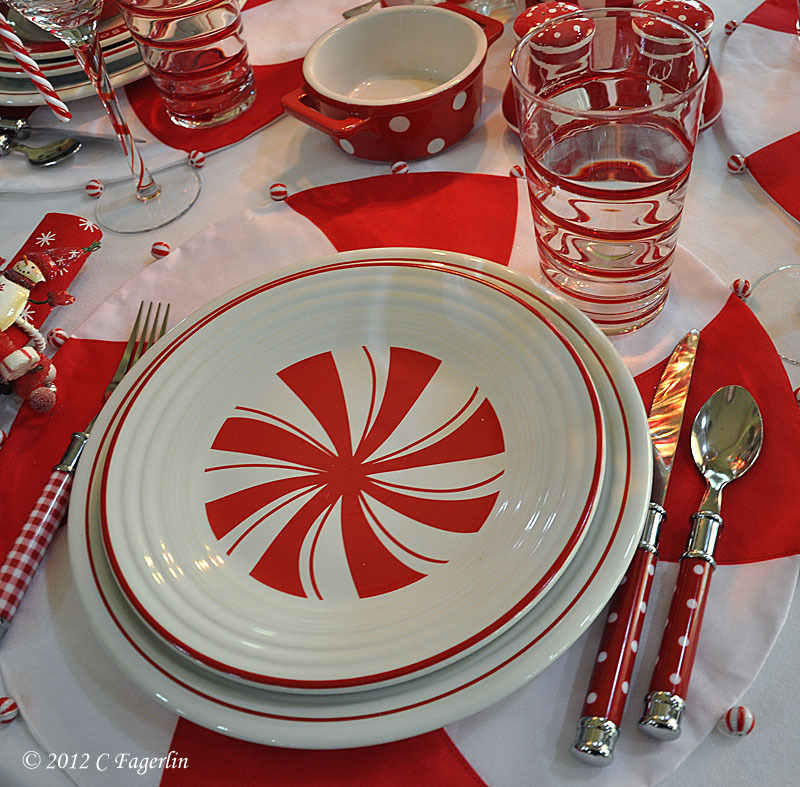 The Peppermint place mats are from Pier 1 this season. 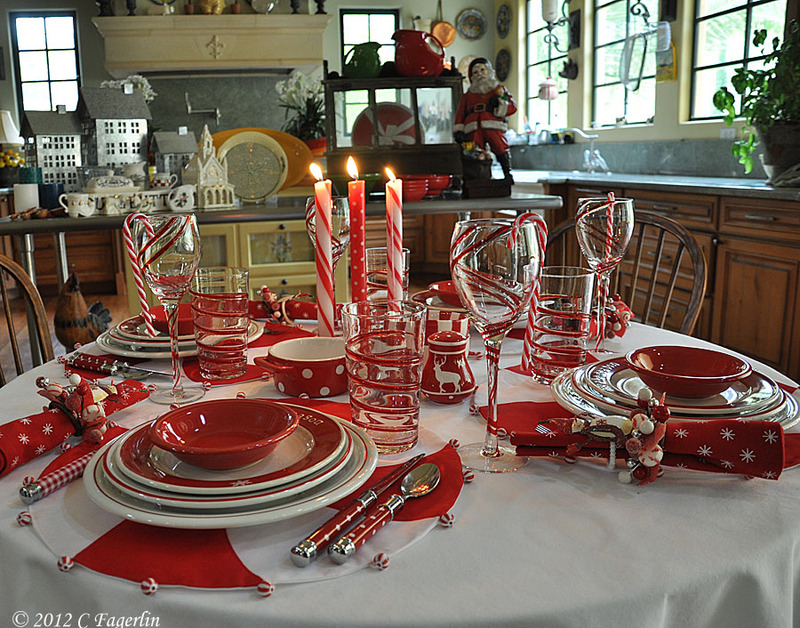 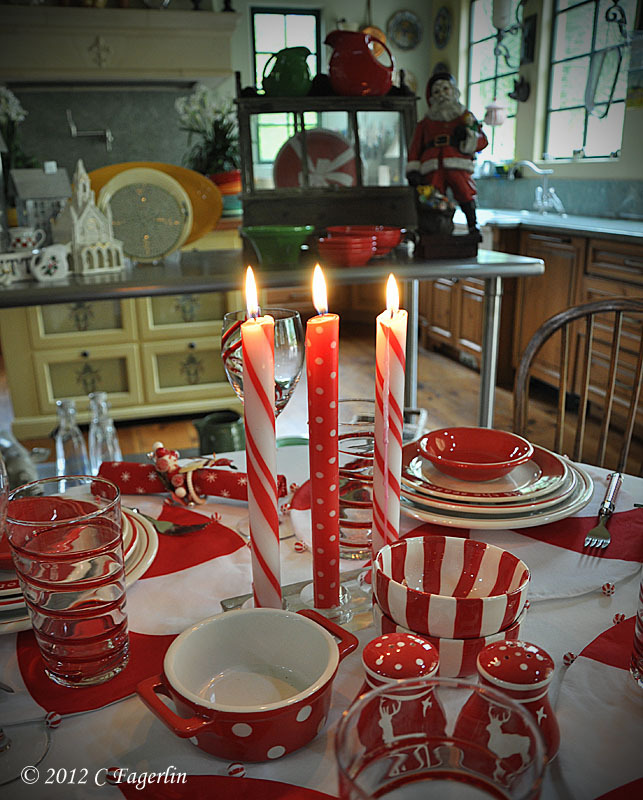 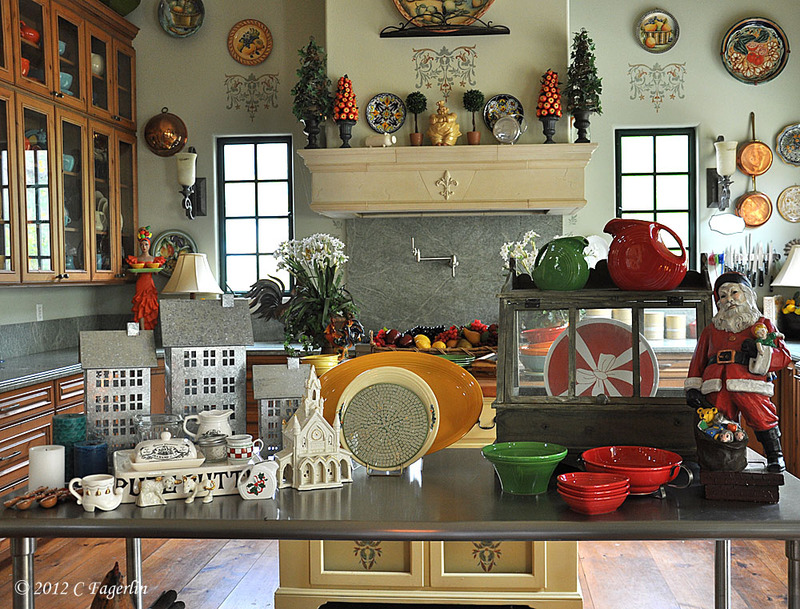 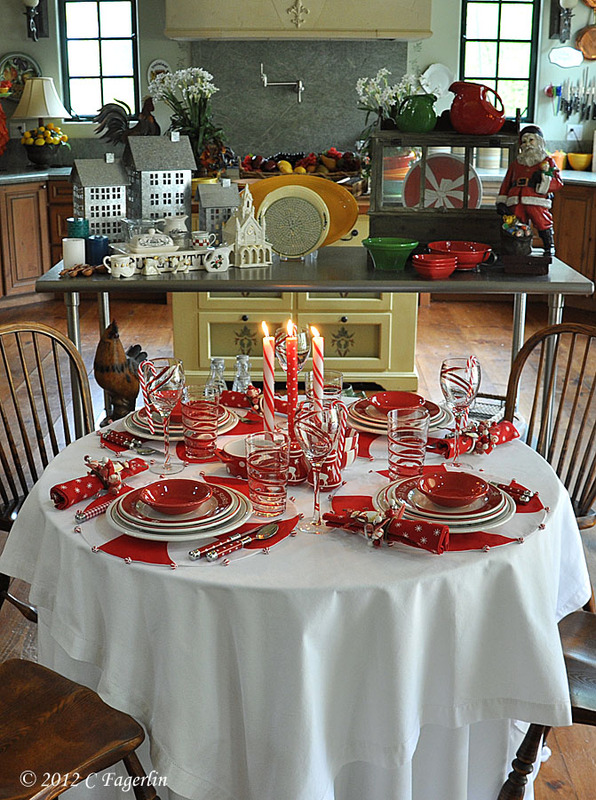 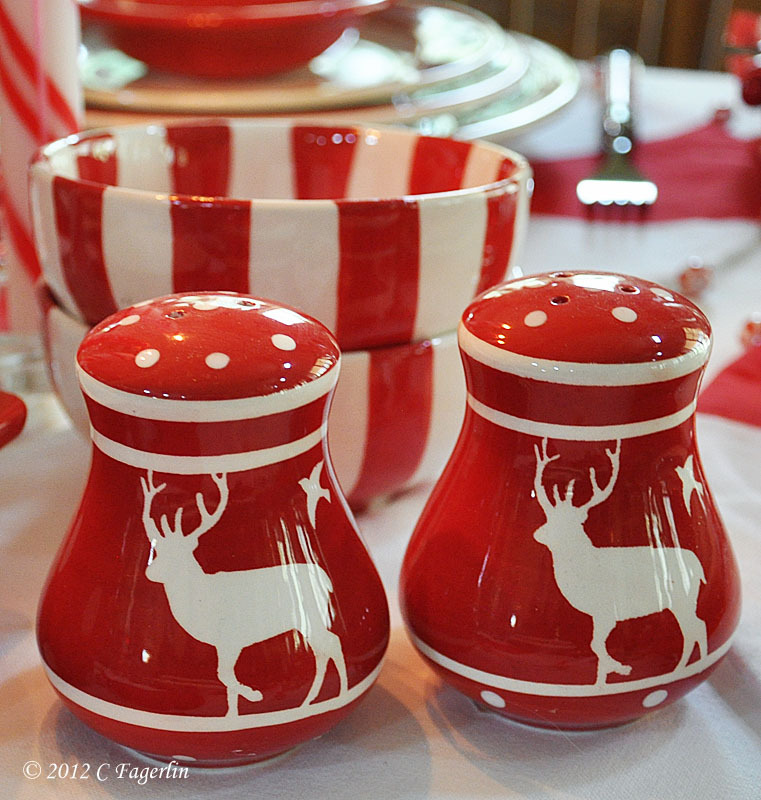 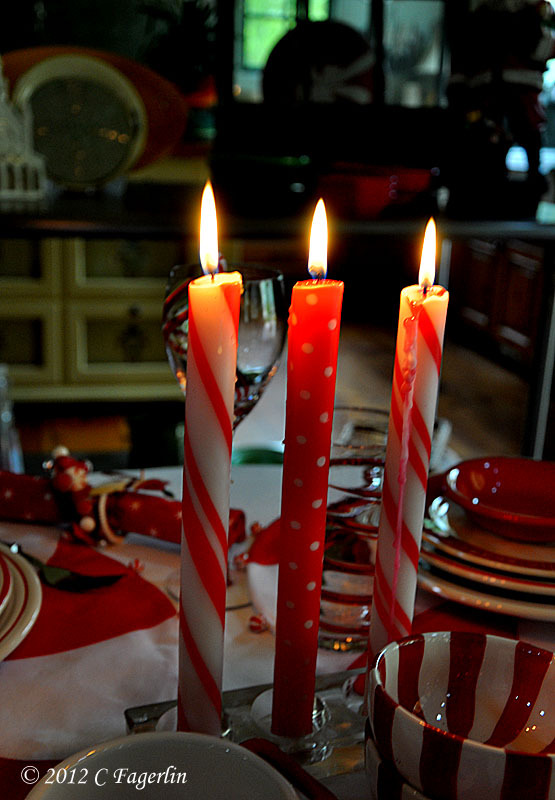 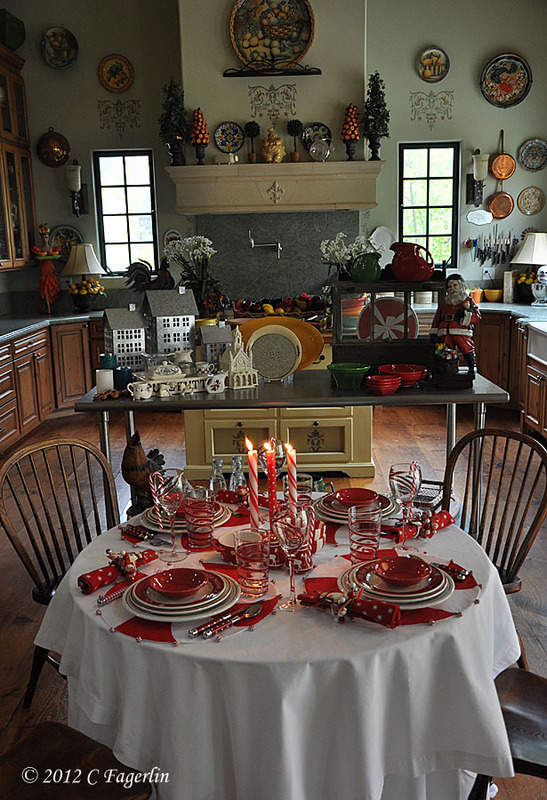 Just a few of the ways to mix it up and give this holiday table a different look. 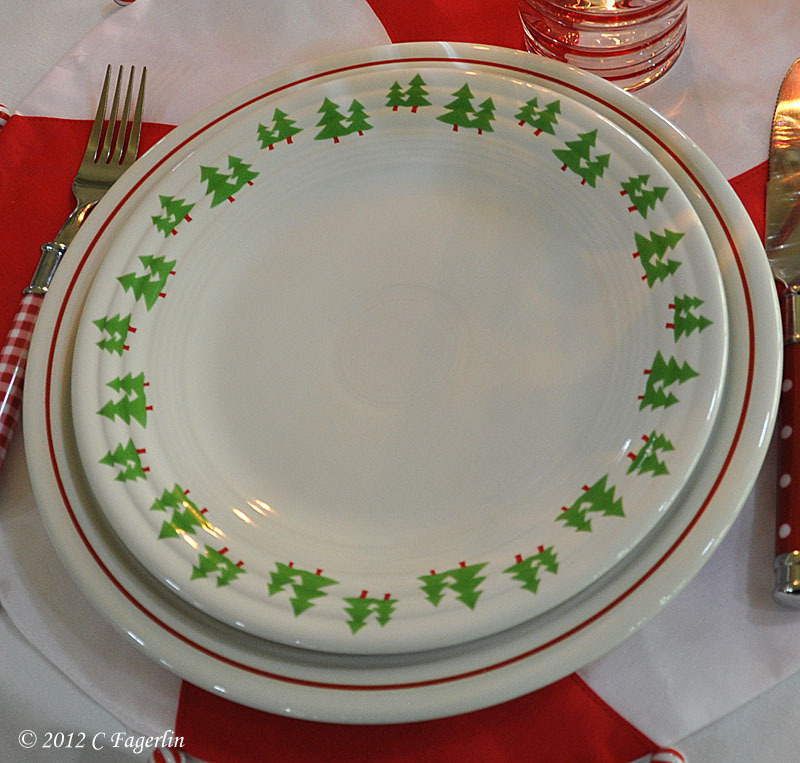 I love the layered placesettings! 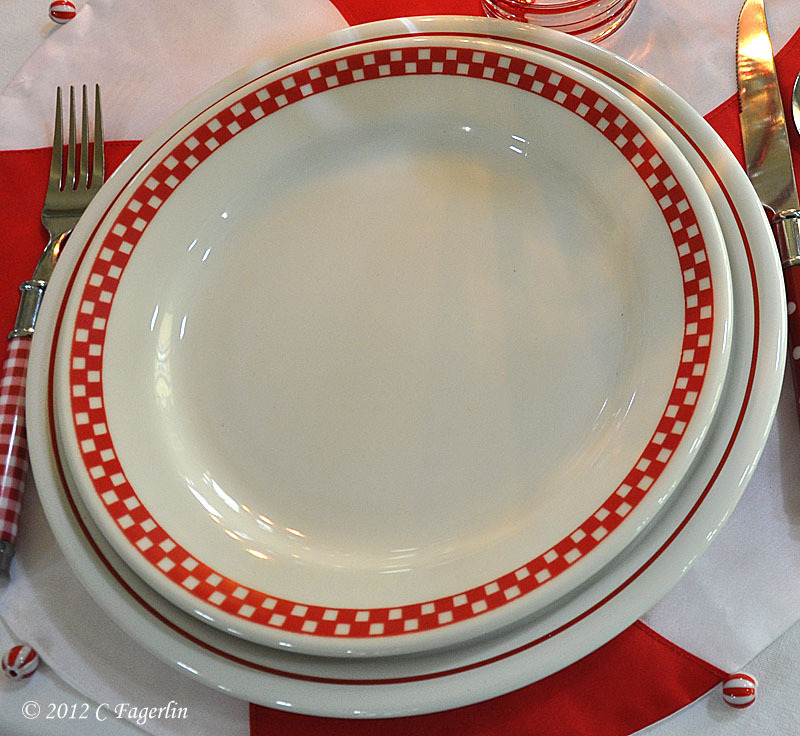 How fun to find the surprise of which Fiesta pattern is waiting for the next course. 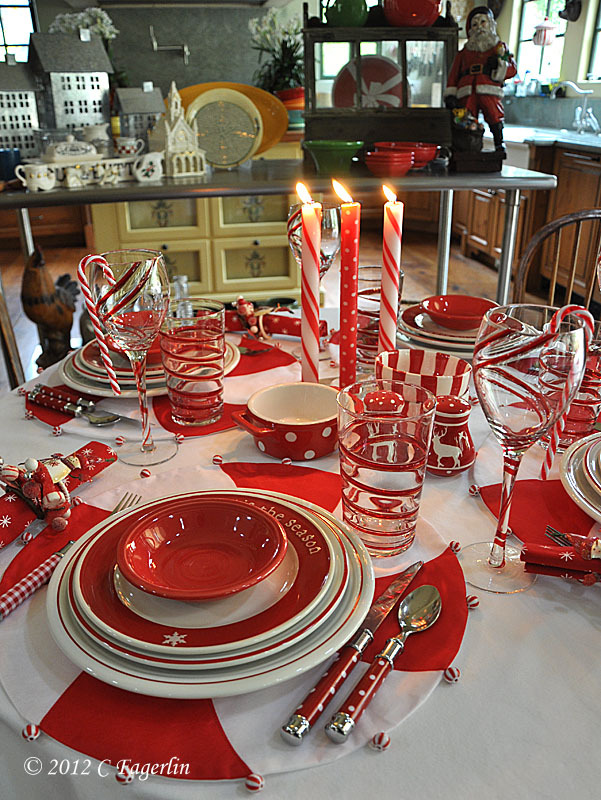 Maybe I need to make a visit to Pier 1! 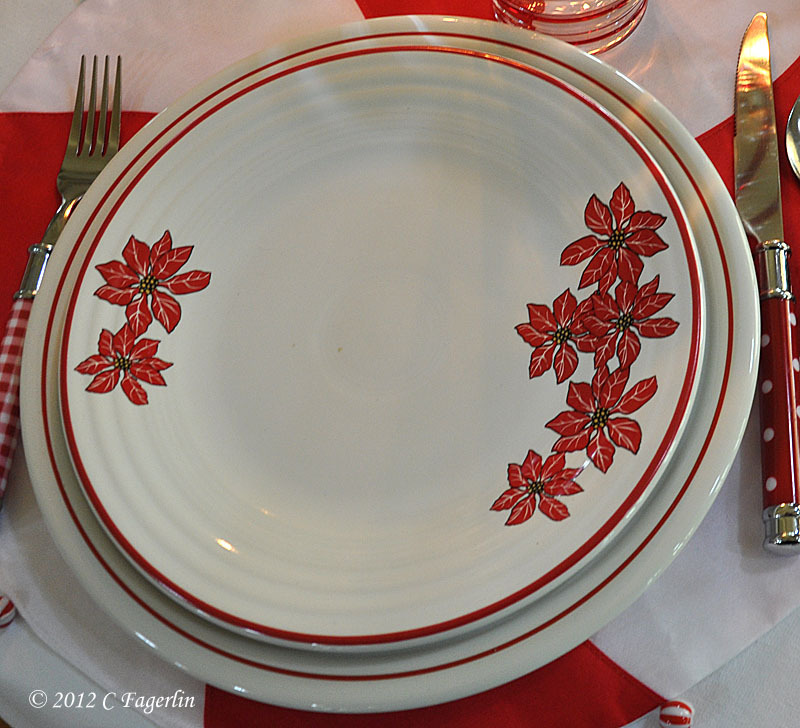 Those placemats are a great match for everything! 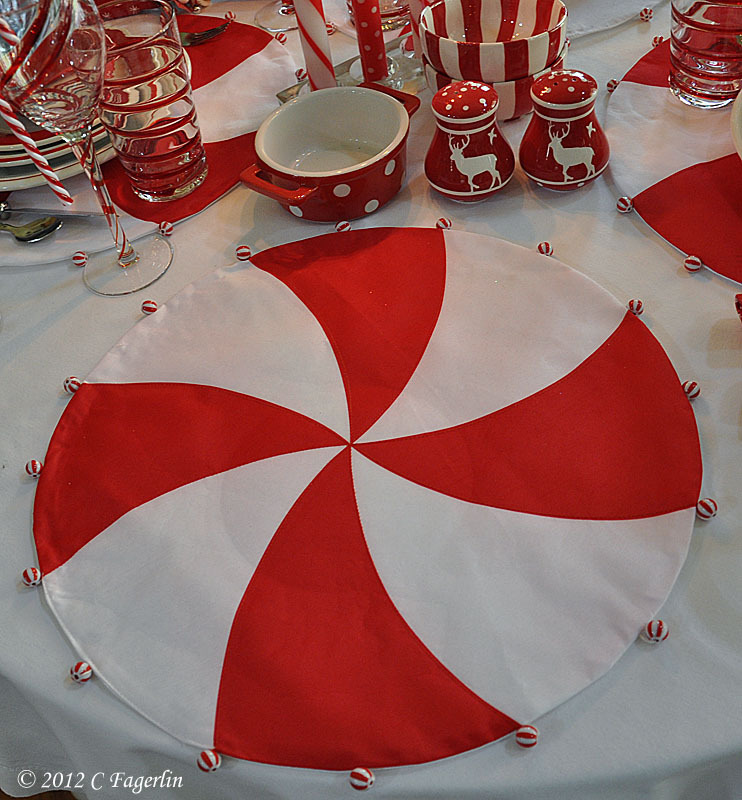 This makes me want to get a sewing machine, I had one when my kids were little and now they are grown, maybe it’s time to get back into that, but only with easy, pretty things for the home. 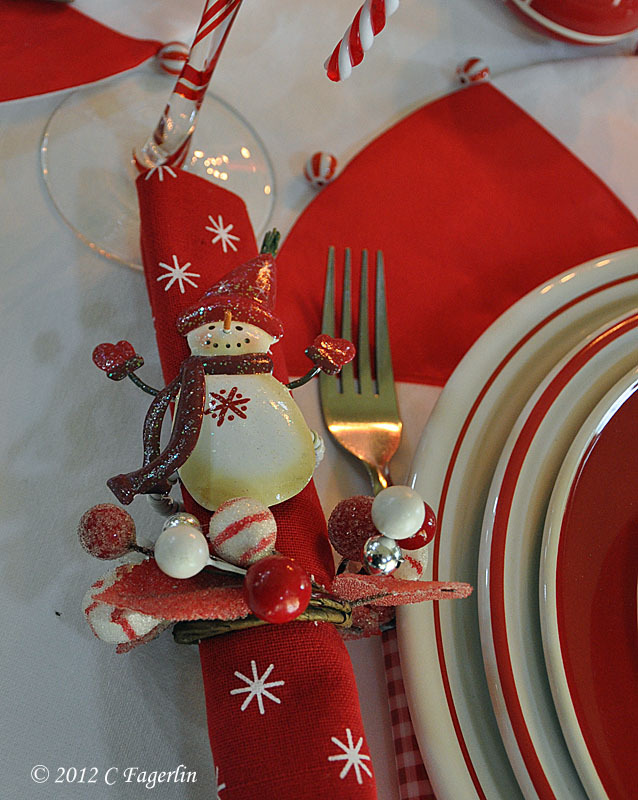 No dress making skills here!